Jillian MacLean leads the bar and restaurant group, Drake & Morgan, which consists of 23 bars and restaurants in landmark locations across London, Edinburgh and Manchester including the acquisition of the City-based group of Corney & Barrow Bars in 2017. Having recently opened two new concepts in London, The Little Fable on Fleet Place and The Listing off Cannon Street, Drake & Morgan continue to build a pipeline of bars and restaurants in London and across the UK. 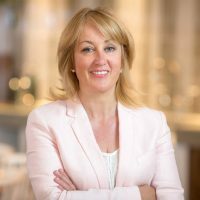 She has received numerous industry accolades for her work with Drake & Morgan and in 2013 was awarded an MBE in the Queen’s Birthday Honours 2013, for services to the hospitality industry.